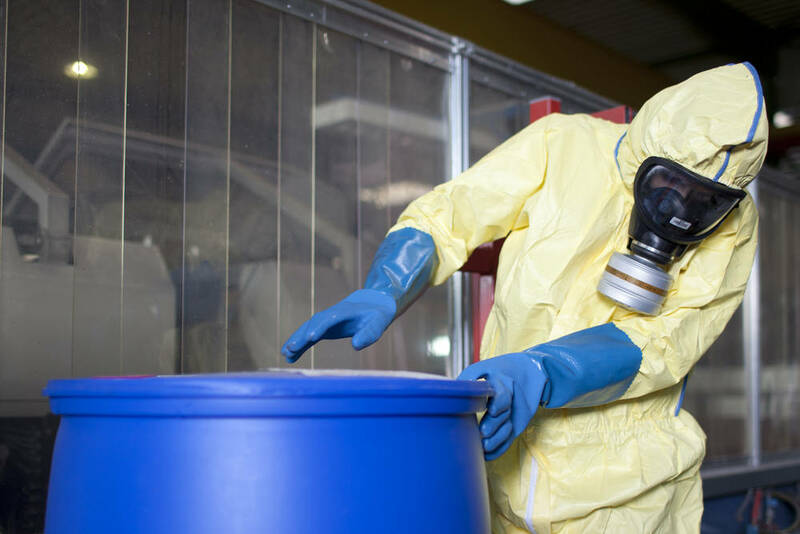 Many industries need to keep hazardous chemicals on hand or generate hazardous waste as a byproduct. No one wants to think of what to do if a spill happens but it is necessary to visit this and mentally prepare for the chance of it happening in your Orange, Los Angeles, Riverside, or San Bernardino County business. If a hazardous chemical spill happens in your business, two of the worst things you can do are panic or freeze. Neither will help you get anything done to help the situation. Take a moment to gather your thoughts, but then you need to make every move and action count. If there are injuries from exposure, or the spill is bad, call the necessary Los Angeles, Riverside, Orange, and San Bernardino County emergency management people to the scene. Contact your chosen Environmental Clean-up company and have them on site to help minimize the contamination and begin the process of cleaning up when safe to do so. Check on all of your employees if possible and find out if there are any chemical exposure injuries. Do NOT enter the area of the spill if it is releasing toxic fumes. You can end up a casualty yourself. In this case, wait for those with specialized equipment to help any stranded employees. Evacuate all employees from the building and block off access to all but emergency and clean-up personnel. Take a head count and know who is there and who is missing. Make sure they are not sitting at home enjoying a day off, and you are worried about nothing. You can begin to relax a little as the professionals begin to arrive to take the help in this situation. Stand back and let these individuals do their jobs. Have all of the information handy about the type of chemical, what happened, how many people were involved, and possible injuries. If none of your Los Angeles, Orange, San Bernardino, or Riverside County employees were injured, it was a good day. Call us at Tri Span and find out about our environmental clean-up services that are available for any business in the Orange, Los Angeles, Riverside, and San Bernardino County areas.